International players should plan on flying into Minneapolis St. Paul International Airport (MSP). From the airport, attendees can take public transportation or a 40-minute taxi ride. For more information on public transport, please see the Twin Cities Metro Transit homepage. MSP Airport has two terminals that are not connected via any walking platform. Travelers must use the light rail to traverse between the two terminals. Please remember this when planning your travel. For more information about MSP Airport, please see their website. For more information on other accommodations and attractions in the Roseville area, please visit the Roseville Visitors Association. 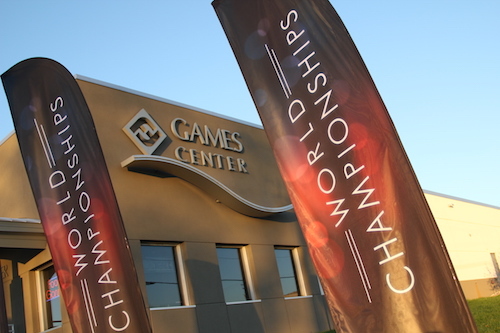 Fantasy Flight Games is committed to providing a friendly, safe, and open environment for all World Championships attendees. Attendees agree to abide by all codes of conduct herein by entering the Fantasy Flight Games Center and the auxiliary space. Any person found to be violating any part of the Code of Conduct will be asked to stop immediately and may be required to leave the premises without additional warning or refund. Be respectful of other attendees, players, and staff. Never physically, verbally, or sexually harass anyone. Refrain from using offensive language, gestures, or behavior. Only conduct monetary transactions with Games Center staff. Do not bring outside alcohol on the premises. The Fantasy Flight Games Center and the auxiliary space at the Radisson Hotel are being used to photograph and record video and film footage for use by Fantasy Flight Games and press entities. By your presence in these areas, you acknowledge that you have been informed that you may be photographed and recorded for use in any media now known or hereafter devised, in perpetuity throughout the universe. Further, by your presence here, you grant your permission for your likeness, name, and voice to be included therein without compensation, credit, or other consideration. If you do not wish to be photographed, recorded, or appear under these conditions, you must leave the area immediately.